Nollywood actress, Omotola Jalede-Ekeinde (Omosexy) and her husband, Captain Mathew Ekeinde, are 18 years old in their marriage today. 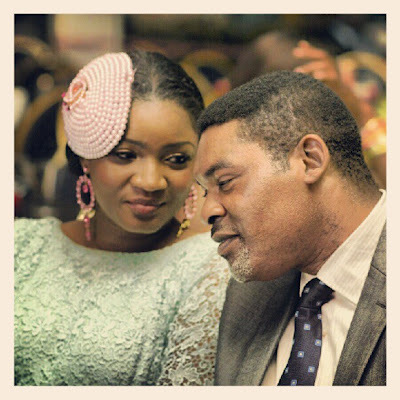 Omotola married her hubby, a pilot, sixteen years ago (1996) at the Ikeja registry on the 23rd March. The couple later held a white ceremony on board a Dash 7 aircraft while flying from Lagos to Benin in 2001, with close family and friends present. Omotola gave birth to her first daughter on the 30th of March 1997. Together, they have four children - Princess, M.J, Meriaih and Michael.